As we are heading to the year 2019, there are several predictions which have been taking place on what the year is going to be. That’s why I have also decided to do some research and find about some of the latest happenings in the technology world. The first thing, I have noticed that 2019 will be a year that we will see the world transform, and thanks to disruptions in technology that will influence a wide range of sectors, from IT, Healthcare, Retail to Mobile App Development, and Banking. While technology evolves, it enables even faster change and progress, causing the acceleration of the rate of change. From cloud-based computing to machine learning, throughout the year technologies with significant potential evolved, paving the path to the coming year. Tech giants including Google, Amazon, Facebook, and Apple showed tremendous potential to bring consumer behavior based technologies to the households. However, the future is approaching even more quickly than we think. In this blog, I am going to discuss the hottest 7 technology trends waiting for you in 2019! More than 570 latest websites created every minute. In 2018, the App Store offered 811,911 mobile gaming apps. Currently, the top in-demand jobs are Digital Marketing, Cloud Specialist, Fintech Manager, iOS and Android App Developer, and Big Data. We are in the period of Big Data. In 2016, 16 zettabytes of unique new data created worldwide. There are over 3.5 billion Google searches found every day. 8 billion devices will be connected to the mobile internet by 2020. Artificial intelligence will smash humans in many actions in the coming years. That’s not all! Until 2020, there are a lot more people will see in the technology. Experts have predicted as following. Just like AI and Machine Learning, Robotic Process Automation is another amazing technology that is automating jobs. The software is used to automate business processes such as interpreting applications, processing transactions, dealing with data, and even replying to emails. One of the best parts is that RPA automates repetitive tasks that people used to do. Immersive technologies will be going to change the way people perceive the digital world. Yes, it’s true! Popular technologies such as augmented reality (AR), mixed reality (MR) and virtual reality (VR), which change how users perceive the world, will lead to a new immersive experience. In addition, the future of conversational platforms, which range from virtual personal assistants to chatbots will incorporate expanded sensory channels and it will become more conversational in interactions. This is really an asset for the several sectors, including web and mobile app development companies, who are rapidly using chatbots nowadays. 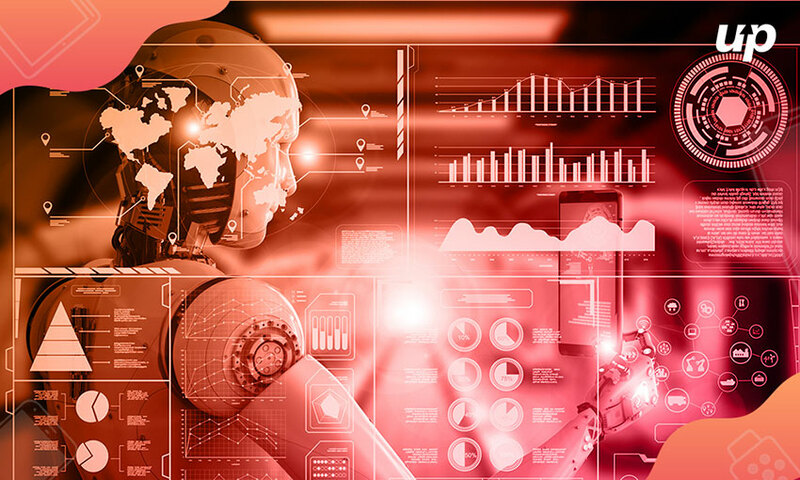 Artificial Intelligence, or AI, has already received a lot of buzz in recent years, but it continues to be a trend to watch in the coming year as well. In fact, the use of AI can be highly seen in the Android and iOS mobile app development. Now, data scientists are increasingly collaborating with best application developers to create AI solutions. This, as a result, will provide the developer with an ecosystem of AI algorithms and development tools that can help them better integrate AI capabilities into their tasks. Autonomous things exist across five types, including Robotics, Vehicles, Drones, Appliances, and Agents. They all operate with varying degrees of capability, coordination, and intelligence; and use Artificial Intelligence to effectively interact with people and their surrounding environments. At present, autonomous vehicles and robots already being part of trials to transport food, parcels, and even medical services. Currently, Augmented Analytics represents a major wave for data and analytics capabilities as several data scientists use automated algorithms to explore more hypotheses. Vice president of Gartner, David Clearley has stated that the number of citizen data scientists will grow five times faster than the number of expert data scientists through 2020. Not only analytics will be used more and more in the workplace, but also more people will be using and benefitting from them. With the growing prevalence of data breaches and the interconnected world we live in today, new ways to verify identity and protect privacy has been introduced. However, Blockchain is a natural for this role because the whole point of it is to provide robust, incorruptible yet encrypted recordkeeping that anyone can easily verify. In the era of Europe's General Data Protection Regulation (GDPR), blockchain technology is poised to take its place at center stage in today's economy. It has been suggested that businesses need to employ this technology because it has the potential to lower costs, reduce transaction settlement times and improve cash flow. This sounds quite interesting! Right? Let me tell you, what it is. A digital twin is exactly as the name suggests a digital copy of a real-life system or thing. 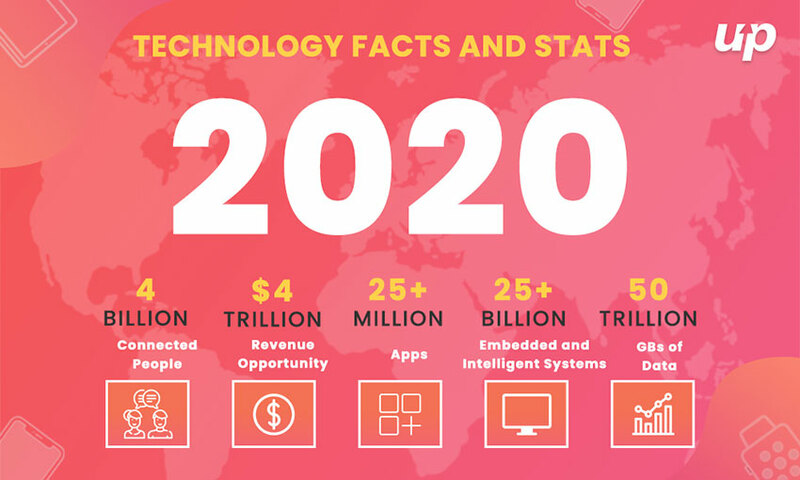 The leading research and advisory firm Gartner believe that by the end of 2020, there will be more than 20 billion connected sensors and digital twins will potentially exist for around a billion things. Today, the focus is on digital twins in the IoT, which could improve enterprise decision making. To optimally take advantage of the technology, it is always good to be updated with the latest trends and predictions in this field. These trends offer promising career potential now and for the near future as well. The knowledge of having the latest trends can be a game-changer for your business and startup. Whether, you are going to hire an app development company, keeping an eye on the upcoming trends is helpful for developers as well. It has been recommended that Fluper is one of the trusted organizations, having the expertise of bringing your idea app idea into reality!